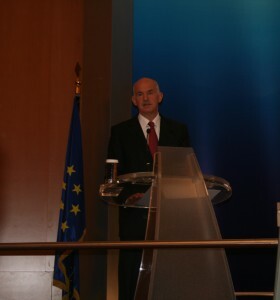 Prime Minister George Papandreou addressed yesterday the NewsXchange 2010 Conference currently being held in Athens. In his speech, the premier commended the role of media in highlighting several of the underlying causes of the financial crisis but also pointed to some of the negative stereotypes that resurfaced in of the international media’s reporting on Greece, during this last year. “Your job is to report the facts as objectively as possible. My job is to be honest with you, with the Greek people, and of course with the international community, which is supporting us in this effort to deal with the crisis, present the facts as they are,” stressed the premier.